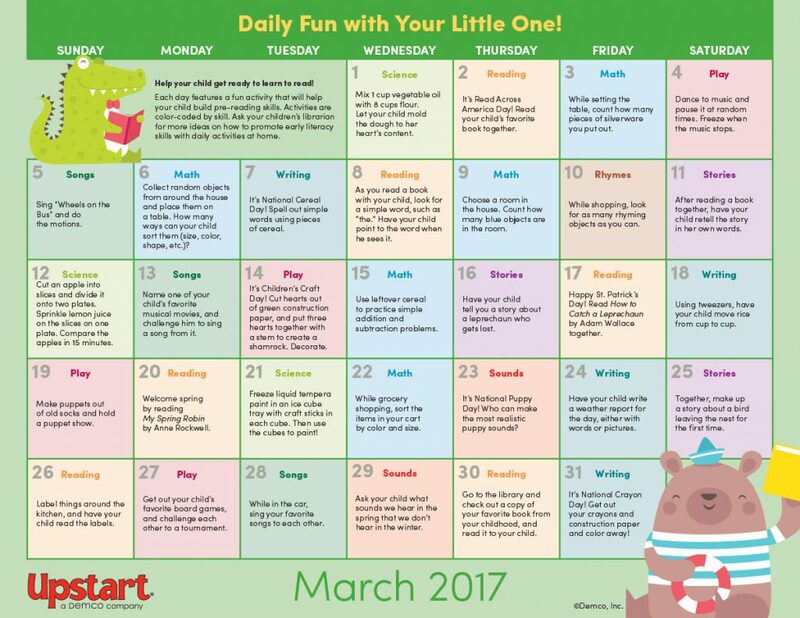 Spring is right around the corner, and it’s the perfect time for parents to keep cabin fever at bay with simple early literacy activities they can do with their little ones at home every day. Parents and kids will love celebrating days like St. Patrick’s Day, Puppy Day and Cereal Day and spending time together doing simple crafts, science experiments and much more! 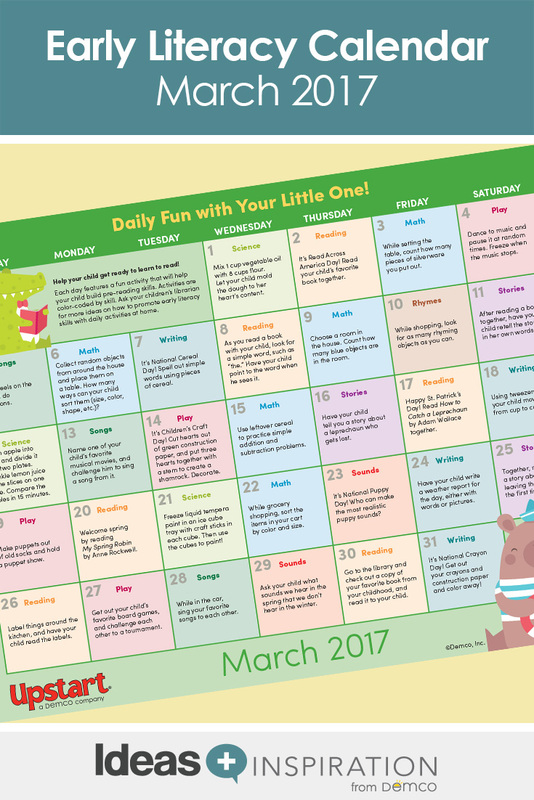 Download the March Daily Fun With Your Little One calendar.